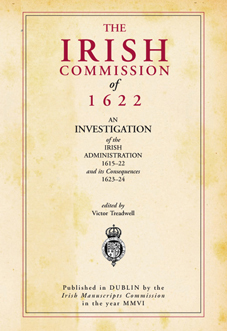 The papers edited in this volume were generated by the wide-ranging commission of enquiry sent to Ireland in the Spring of 1622. Appointed by James VI and I, this body investigated the political, religious and administrative state of the country. This book will be invaluable for historians of Stuart Ireland, while the extensive indices of persons and places will be a great resource for local and family historians.